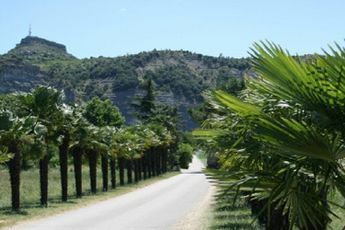 Have a lovely holiday in Ardeche by making Grand'Terre your place to stay in Ruoms. 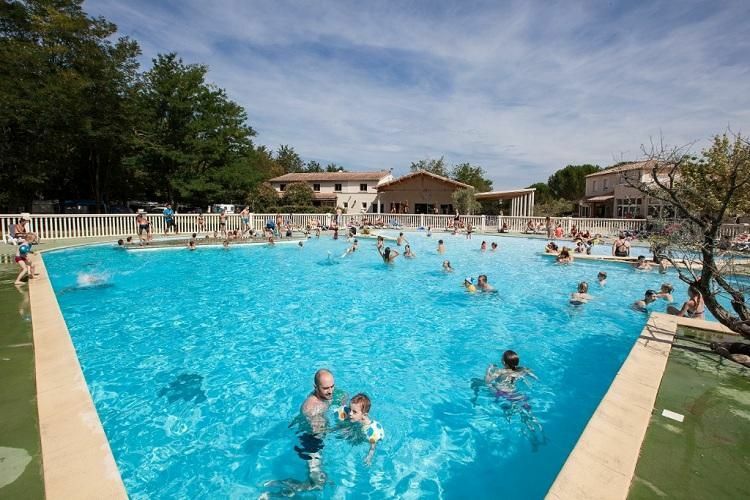 Located 13km from the village along the Ardeche river, this fantastic campsite welcomes you to the heart of nature, only a few minutes from the famous Ardeche gorges. Grand'Terre invites you have amazing holidays in a green countryside perfect for sunbathing. The kids club welcomes children from 4-12 years old in July and August, and the Grand'Terre also offers entertainment for teenagers and adults (competitions, games, watersports etc). This 10 hectare campsite allows fishing (with a permit), swimming in the river or the heated pool (with paddling pool), play on the multipurpose sports court, and play ping-pong or petanque. You can access many different services on site: restaurant, bar, grocers, Wifi, tourist information, etc. On leaving Grand'Terre, there are many more activities awaiting: visit the picturesque villages of Labeaume and Balazuc, canoeing, discovering local produce etc.
) or even troglodytic caves (in Blames de Montbrun, Coux, or Lac d'Issarlès). In this magnificent landscape, you can go climbing, caving, and bungee jumping. Come and discover the culture of Ruoms at the museum and the specialities of the region, like Ardeche wines at the Ruoms nocturnal market.